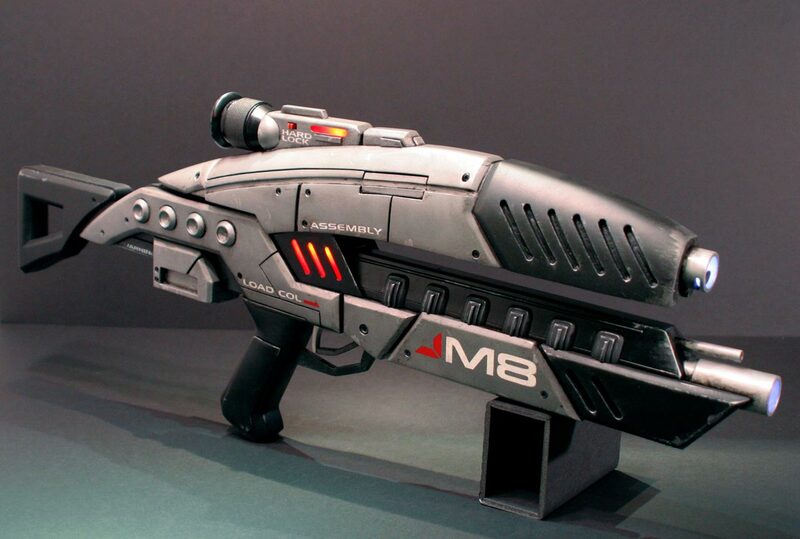 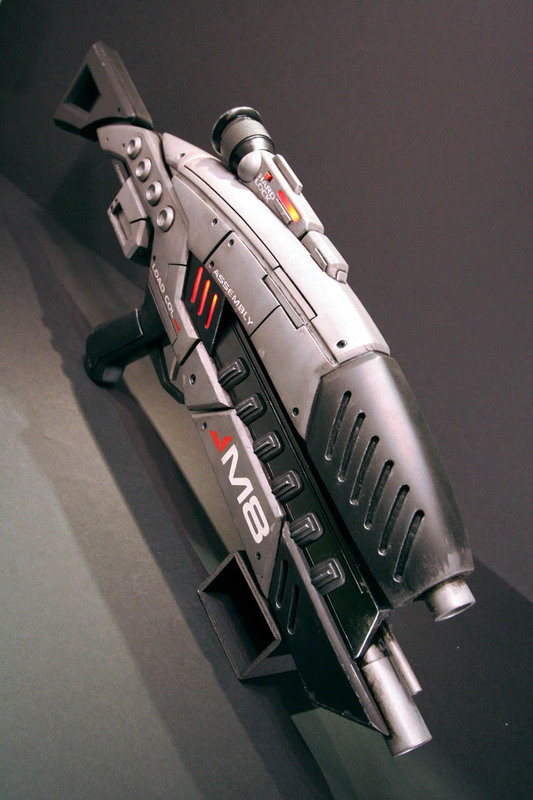 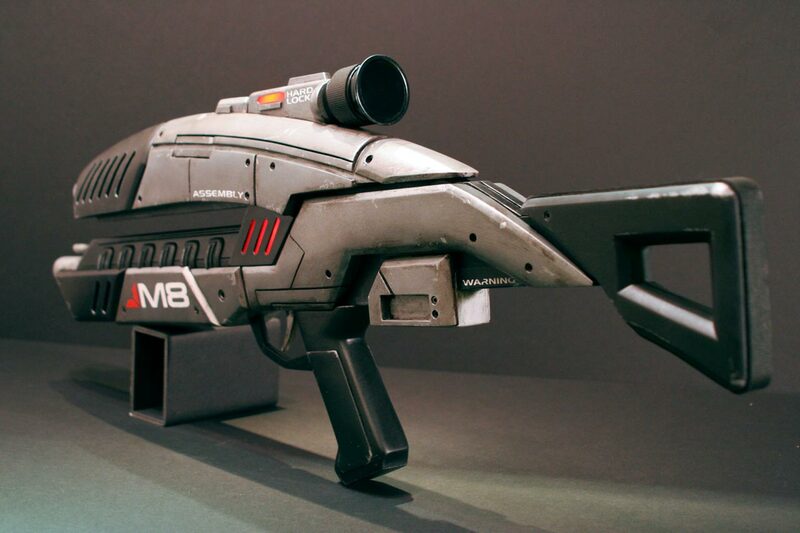 Created from scrap materials over the span of roughly one month, the M8 Avenger Assault Rifle from Bioware’s Mass Effect 2 was constructed with economy in mind. 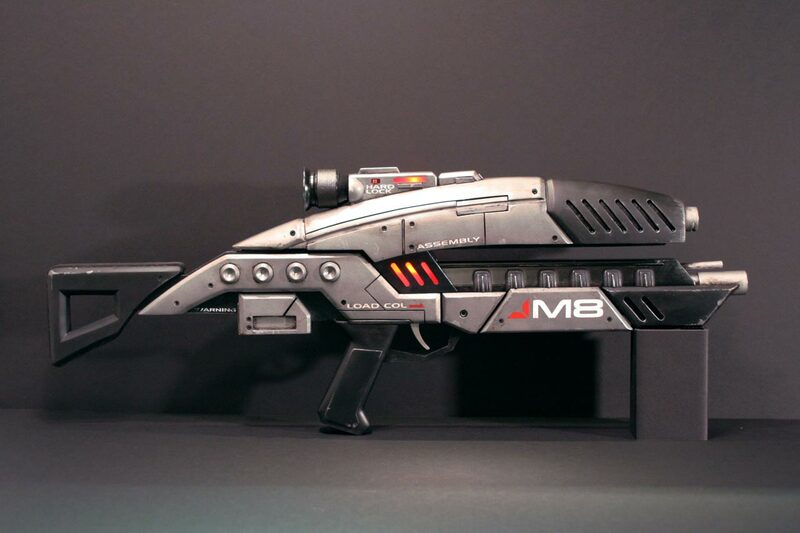 As a personal challenge, its creation was bound to a self-imposed budget of “as little as possible.” The end result required only $28 in out-of-pocket expenses. 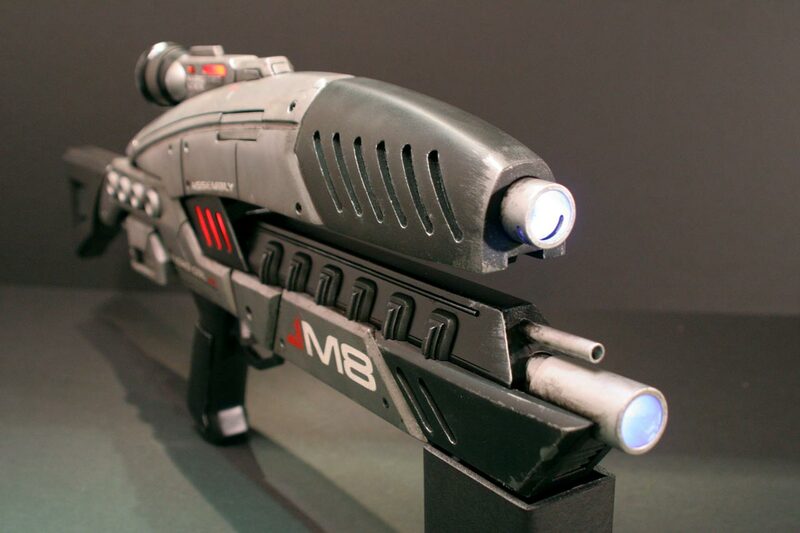 Red LEDs illuminate the central vents and scope, while the muzzle flash (operated via the moving trigger) is simulated with six white LEDs inside both barrels. 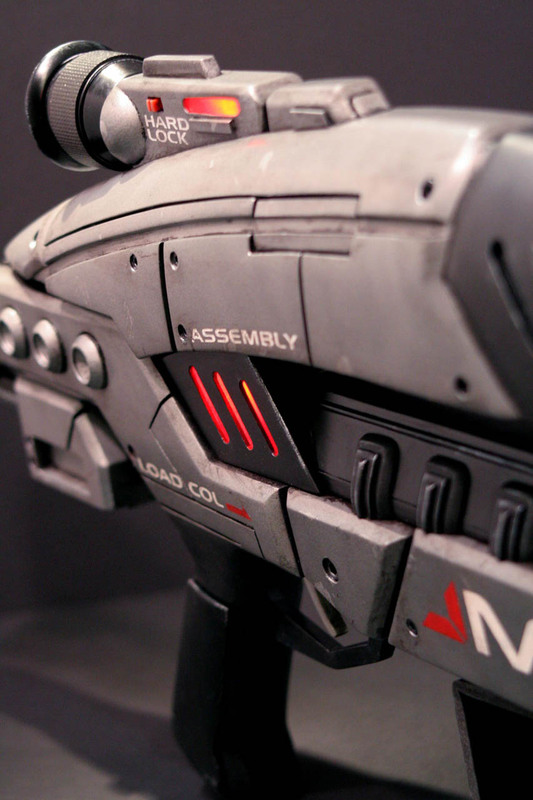 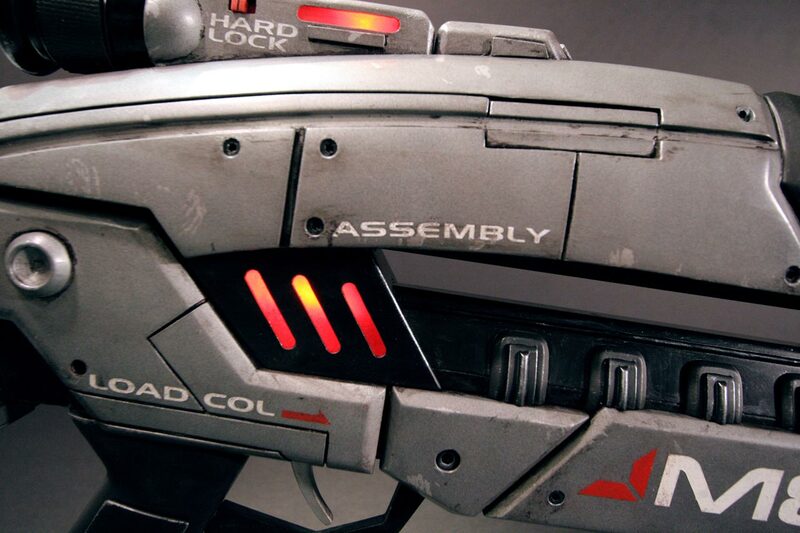 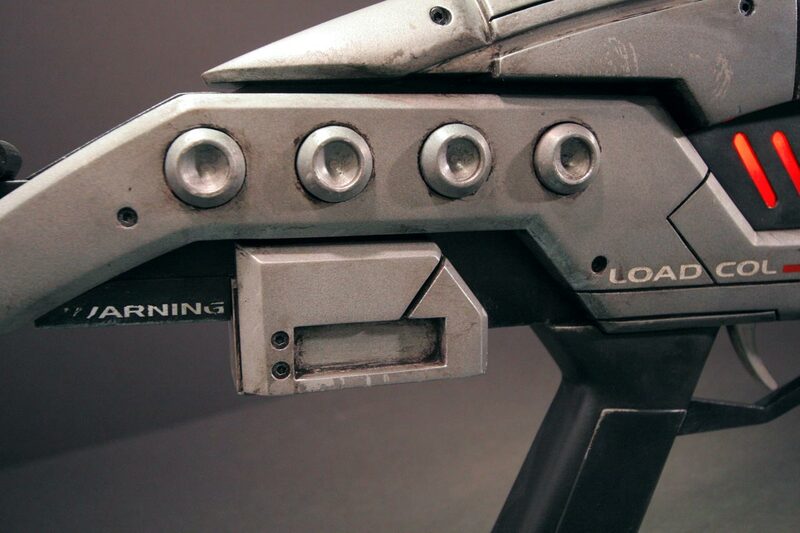 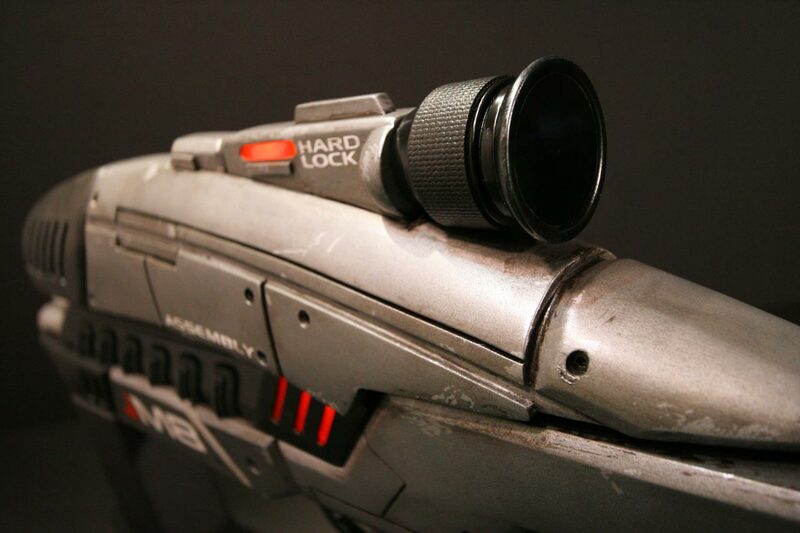 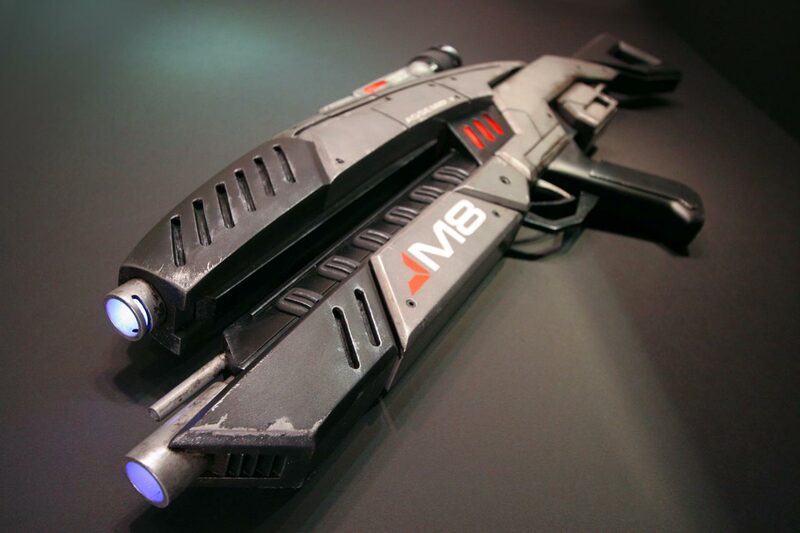 Click here for the Mass Effect 2, M8 Avenger Rifle design and build log.